Speaking from experience, the shoes you pack can absolutely make or break a trip. When I first travelled to Europe with Ben in 2007 I was incredibly unprepared for the heat and cobblestones, packing a few flimsy pairs of ballet flats (one I had failed to wear in at all!) and a dainty pair of $5 white sneakers. Looking back at the photos I can tell that the pained expression I have isn’t down to the fact that most of my cards failed and we spent more time in internet cafes than anything else (pre iPhone travel was HARD! ), it’s the footwear that left me completely unhinged. Not even the first flushes romance (falling hard for the Amalfi coastline, as well as Ben) could counteract the pain of throbbing, aching sore feet. I bought some more shoes of course, but not before actual tears were spilled. Before I go any further, I wanted to let you all know that we’re celebrating Blaclk Friday with 20% off your order of The Simple Sandals, using the code ‘simple20’. Run, don’t walk! Wearing: Reformation Dress, The Simple Sandals in Tan, Locally Made handbag, Sportsgirl hat. Comfort is obviously key, as is choice. But at the same time you need to balance the urge to pack 93479 pairs – not only do they weigh down your suitcase you’ll find you will end up wearing only a few simple styles. 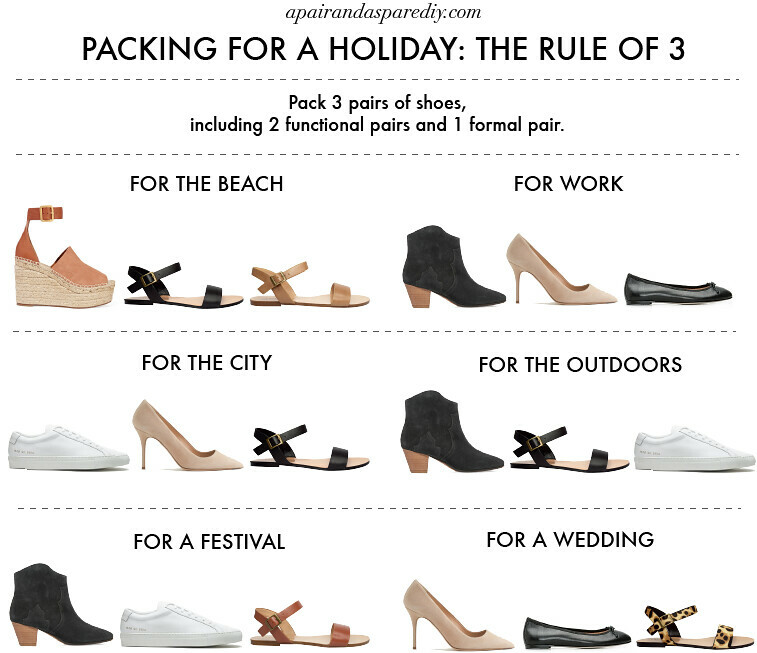 Therefore, based on my original packing post that outline the 5,4,3,2,1 method, for shoes you’re going to want to follow the rule of three. This formula is all about packing 2 functional pairs, and one formal/more dressy pair. This works for most destinations! Pack 3 pairs of shoes, 2 functional pairs and 1 dressy pair. When it comes to the colours you choose, neutral tones are always flexible, and also consider the bags you are taking and, if you’re like me and have to match, choose complementary shoe colours. Anddddddd because every trip is different, and often decided by where you’re going and what you’re doing, we’ve broken this guide down into what to pack for various destinations/events, read on below for more details. Packing for the beach is just about as easy as it gets in the shoe department, in fact you want to be shoeless as much as physically possible! Two pairs of sandals and another pair of more dressy heels (I like a wedge/ espadrille in case I find myself walking on unstable ground) are perfect for a purely beach holiday. If you think you might be doing some sightseeing or travelling inland, swap one pair of sandals for a pair of sneakers and you’re good to go! Travelling for work? I hear ya. Did a bit of that in my time as a town planner, running on and off planes with a tiny suitcase and laptop bag. Fun, until it isn’t anymore. Anyway, you’re going to want to take functional, covered shoes as well as a pair with a little class and a bit of a heel in case you need to give yourself a boost (in height, and maybe confidence too?). Naturally this is generalised and it was also depend on your profession, destination, time away and office dress code but this is a good start. Overnight trips will need one or two pairs only. 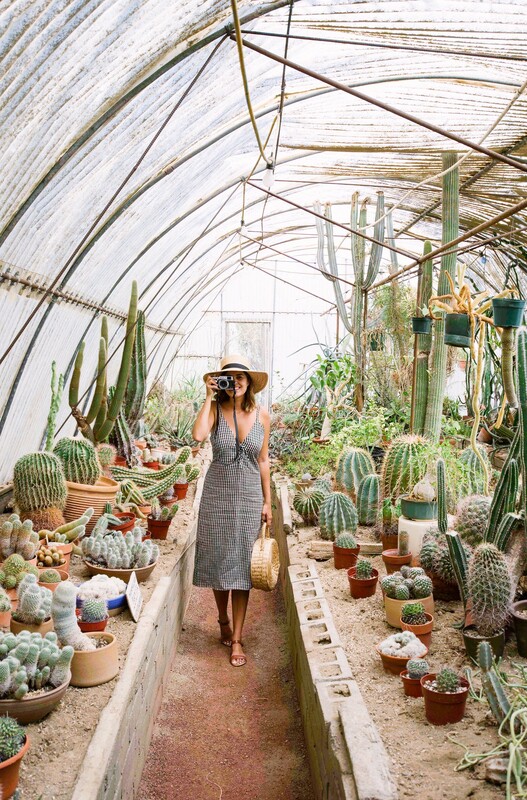 Chances are you’ll be wearing your sneakers or comfy flats/sandals pretty much all day when travelling in a city, but you’re also going to want to look a little put together, more so than casual/beach destinations. Naturally it depends on the vibe of the city and the types of activities that you will be doing, but a pair of heels is a good idea to throw in with two comfortable pairs of shoes, so you can feel a little more dressed up come the evening. Comfort all the way on this one. The outdoors can obviously cover a whole range of trips, but in general you can ditch any sort of dressy or heeled shoes, chances are you’re not going to need them. You’ll probably also want to take your oldest shoes if there’s any chance you’ll be going offroad – hiking boots if you’re that way inclined or comfy sneakers if you’re more of a watch from the jeep kinda gal. This is an occasion you’ll be walking for miles as well as being away from your tent for probably the whole day… and half the night, so you need few pairs of shoes that will go the distance. Obviously footwear will largely be dictated by whether or not it’s going to rain – think Glastonbury. If it is you’ll need to ditch all of the above and take wellies instead, but if it’s going to be bright and sunny – think Coachella – you can get away with sneakers or boots instead. A pair of sandals is a good choice for downtime around the tent or at your accommodation. Depending on the plans for the wedding day itself, chances are you’ll want to take a heel with you – a pump or strappy sandals is a good choice, a medium height rather than sky high is a good choice if you need to be on your feet all day. Ballet flats and sandals are perfect for downtime outside of the wedding, and giving your feet a break after a big night! But where do I find the right shoes? Looking for the perfect styles? 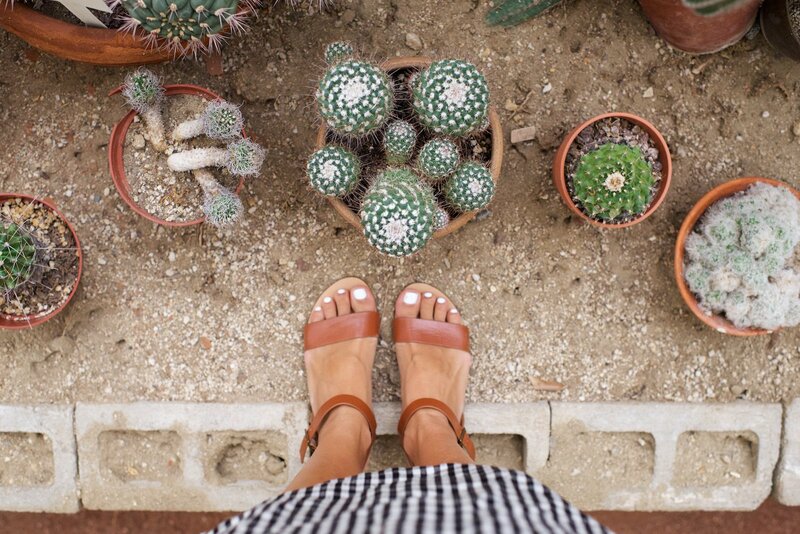 Naturally I’ll point you in the direction of The Simple Sandal when it comes to sandals… For boots I like Madewell, J Crew, and Sezane. For sneakers I’ve recently bought my second pair of Springcourts and they are great, otherwise Adidas does a fail-safe style. And ballet flats? Repetto does a high end style, otherwise Zara is always a safe bet for a knock around pair. One another note, I couldn’t help but share these photos of the Palm Springs Cactarium with you. Tenuous link with the shoes I know but oh well. It has to be the most beautiful, stunning, amazing, gorgeous, awe inspiring place in the world. To me anyway…. 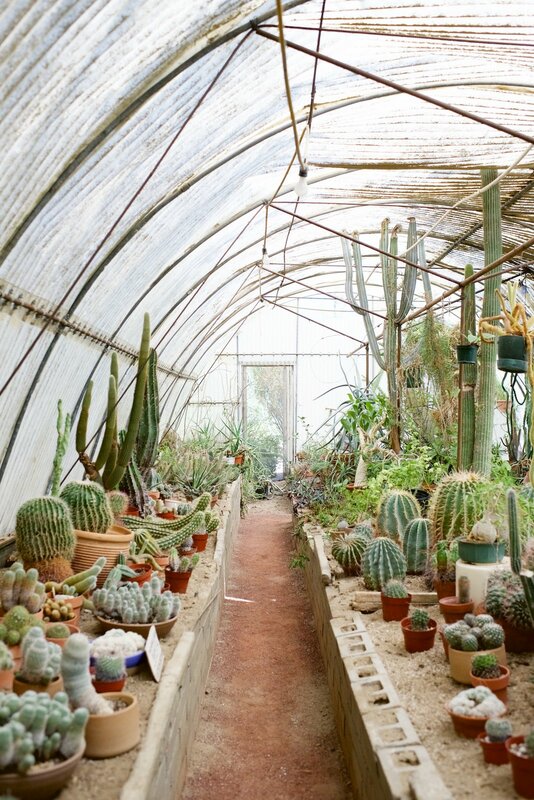 When can I move in? I hope everyone who celebrates is having a really lovely Thanksgiving! In case you missed it get 20% off The Simple Sandal using the code ‘simple20’.